This term, Year 1 children have been taking part in football sessions with coach Dan! They have had lots of fun! 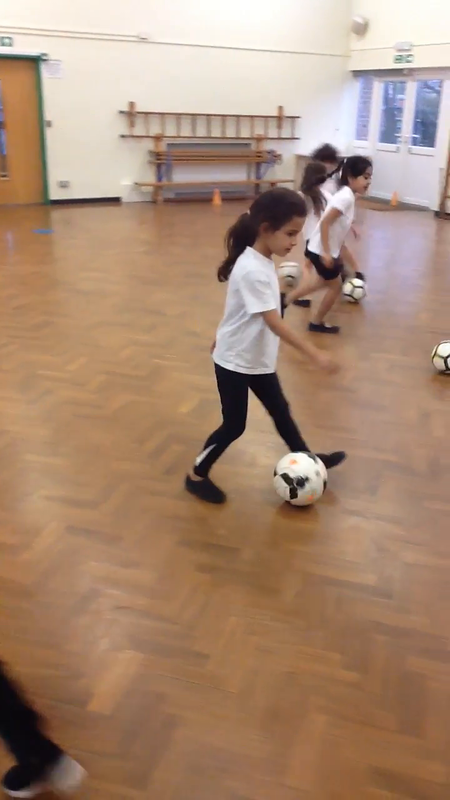 Each week Dan has introduced a new technique for the children to practise and focus on such as dribbling, accelerating, decelerating, twisting, turning and controlling a ball. the children also worked hard to scan areas by keeping their eyes up whilst travelling with and without a ball. The football sessions have supported the development of gross motor control, coordination and agility. the children have also learnt about teamwork, collaboration, resilience and decision-making. they have been transferring these skills during playtime, where the children enjoy playing small matches against each other.